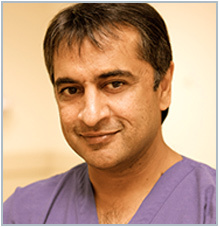 Home >> About Us >> Meet Our Doctors >> Raj Pandya, M.D. Dr. Raj Pandya is a surgeon, inventor, entrepreneur and restaurateur. 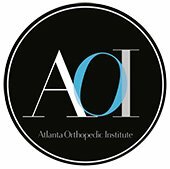 Specializing in sports medicine, knee and shoulder surgery, he is the Founder and President of the Atlanta Orthopaedic Institute (AOI), AOI Surgery Center and AOI Performance Physical Therapy. He is Chairman, Founder and CEO of Unicore Health, and PanOrthopaedics, and Chairman of Twisted Taco restaurant group. He serves as Medical Director and Consultant to global companies and healthcare ventures, and as Team Physician to professional, Olympic and collegiate athletic programs. As Founder and owner of AOI, Dr. Pandya has developed a clinically integrated model to deliver world class orthopedic care including a state-of the-art destination ambulatory surgery and educational facility, AOI Surgery Center, and advanced rehabilitation cater, AOIPT. 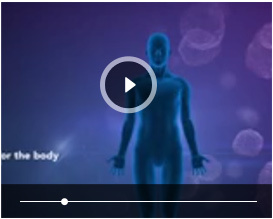 It features advanced arthroscopic, total joint and spine technologies. The outcome based model delivers optimal cost efficient care, facilitates and documents return to function, and provides clinical and financial metrics. The system features advanced technology portals for data mining and communication. Unicore Health is the innovative technology company founded by Dr. Pandya that helps organizations mitigate productivity and financial loss due to workplace injuries and improve outcomes for injured workers by employing clinically relevant transformative technologies and relational connectivity tools to aid in their return to productivity. The company’s patented and trademarked Human Optimization System 360 transforms physical disabilities into work capabilities, can’t do into can do, and defines best practice protocols for injury, disease and risk management. Additional applications include helping individuals with disabilities find gainful employment, and athletes to return to play. One of the primary applications which is close to Dr. Pandya is to facilitate return to duty or productivity for Service Members and Veterans. Clients include Fortune 100 Companies and major healthcare systems. Dr. Pandya has developed and patented innovative medical devices and applications for advanced minimally invasive musculoskeletal surgery as Founder of PanOrthopaedics. These include advanced technologies for knee and shoulder surgery, including cutting edge biologic therapies for musculoskeletal conditions such as arthritis and tendonopathies. The products are deigned for outpatient cost efficiency combined with elegance and ease of use. As a restaurateur and innovator in the food services industry, he is Chairman of the Board of Twisted Taco restaurant group, which has seen major growth in college campuses and sports venues in addition to free standing locations. The company focuses on providing healthy options blended with mainstream fare to promote intelligent food choices. 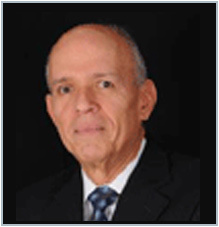 He has served as Medical Director for and National Speaker/Consultant to a numerous global pharmaceutical corporations. He conducts a number of clinical trials and is a noted lecturer in medicine and entrepreneurship. He is on the teaching faculty of Atlanta Medical Center, and Morehouse School of Medicine. He is on the Board of Advisors for the Masters of Healthcare Informatics at Kennesaw State University. His clinical interests include cartilage repair and regeneration and meniscal transplantation, and was among the first in the US to perform autologous cartilage implantation surgery. He is involved in local and international and charitable projects, including the American Diabetes Association and the Chattahoochee River Keepers. Dr. Pandya has served as Team Physician for the Georgia Force of the Arena Football League, Team Physician for the US National and Olympic Handball Teams, Physician for the Sugar Bowl, Physician for the SEC Championship Game, Physician for the ACC Men’s Basketball Tournament, Physician for the AVP Pro Beach Volleyball Tour, Orthopedic Consultant for the NFL Europe, Team Physician for Life University, Physician for the US Indoor Track and Field Championships and Medical Director of the Georgia Games. He was also Physician for movies and television series including "We Are Marshal," "Million Dollar Arm," "Fist Fight," "Blind Side," "Vampire Diaries," "Necessary roughness" and many others. Dr. Pandya graduated with honors from the accelerated BS/MD program at the University of North Carolina at Chapel Hill, and was selected to the Phi Beta Kappa and Alpha Omega Alpha honor societies. He has completed both the world renowned sports medicine fellowship with Dr. James Andrews and Dr. William Clancy at the American Sports Medicine Institute in Birmingham, and the Swiss AO Fellowship in Trauma.